NOAA scientists and experts are among the 800,000 federal employees who have had their jobs put on hold. Two of Puget Sound’s resident killer whales are struggling to survive. Any rescue plan would need assistance and coordination provided by the National Oceanic and Atmospheric Administration. 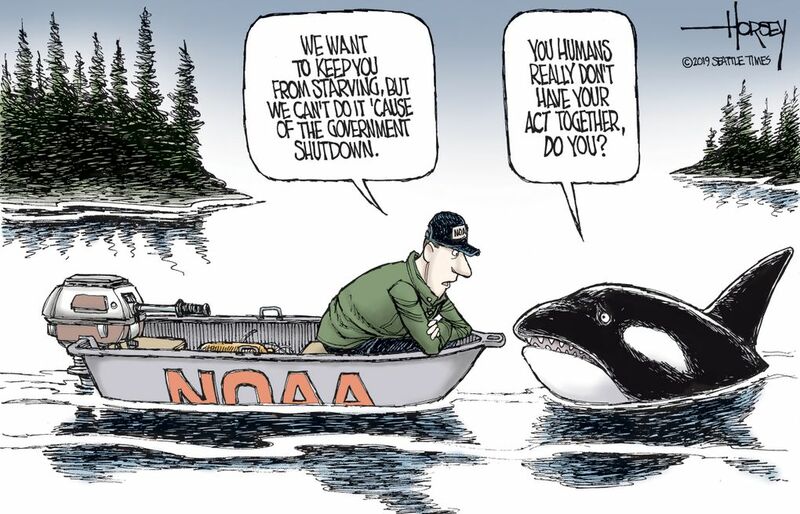 The bad news for the orcas is that NOAA scientists and experts are among the 800,000 federal employees who have had their jobs put on hold by the longest government shutdown in history.